Business owners today are continually on the lookout for new ways on how they can boost marketing and sales. Although there are millions of people who go online, only a few of these netizens respond to the most common marketing techniques that are employed by most businesses. To improve your strategies, you need to make the most out of your skills and ensure that you attract small percentage of people to respond to your techniques. And since time is precious especially in the marketing industry, changes have to be implemented immediately. Take a look at these pieces of advice that you can employ easily. Edit your “About Us” section. For the business owners, the ‘about us’ section in your page is the place where you introduce yourself and tell the customers what you are and what you represent as an enterprise. Unfortunately, because of the company’s intent to tell people about its brand, this section becomes a snooze fest for customers visiting the site. In order to remedy this quickly, you need to do more than just tweaks in the web design. Focus on the content as well. Instead of just stating what your company does, state how it differs from your competitors. Do not forget to optimize your ‘about us’ page by adding relevant keywords. Add marketing videos that address your top business challenges. There are a lot of businesses that try to release viral videos to help gain momentum in the branding world. It is a fact that a viral video can make a name for your brand. But usually, people who watch these materials do not really know the product. What they are aware of is that these videos are funny and catchy. Your strategy should be to edit your current visual materials and evaluate how you can upgrade their quality to address issues of your brand. Make the message clear so that people who watch your video will know what it is for. Maintain your presence in social media. 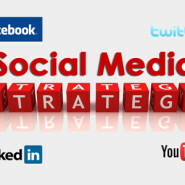 Social media marketing is still one of the best modern ways in promoting your brand. So, you have to constantly update your social media accounts and respond to the queries of your customers. You also need the help of other big names in social media to gain momentum. To do this, follow the social media accounts of target journalists who are related to your industry. You promote their work while they promote you.